Hello and bienvenue to Part 3 of our long weekend in the Charente-Maritime! I know I say this every time I visit a new place, but the Charente-Maritime has become one of my top areas of France and I can’t wait to go back. I’m most at home when I’m near water and there’s plenty of that in this nearby coastal department. 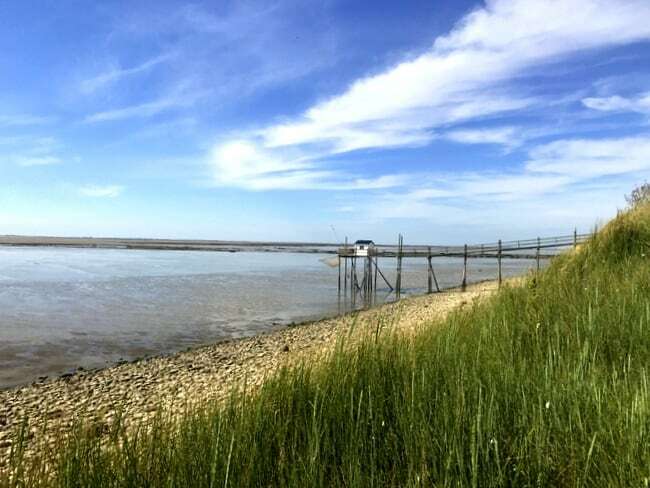 I admit that I’m easily impressed, but even the most discerning traveler will fall in love with everything the Charente-Maritime has to offer. 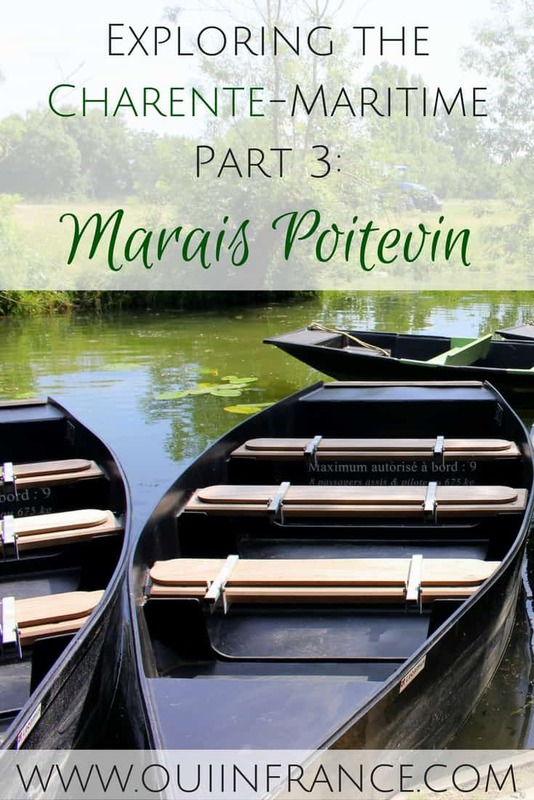 Let me tell you about our visit to the Marais Poitevin and more! 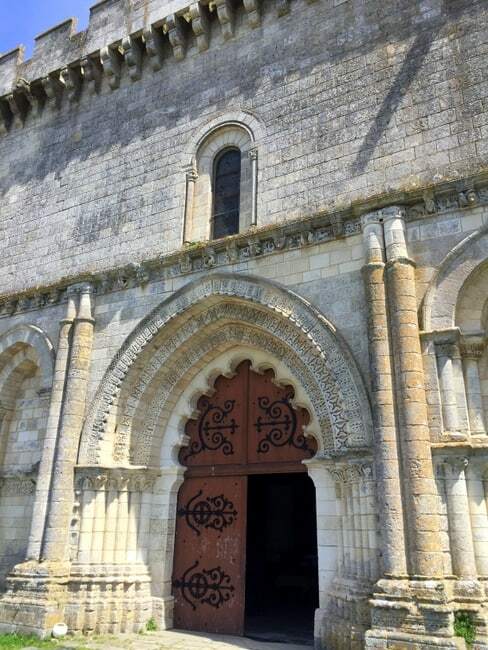 The Charente-Maritime is chock-full of places to discover and Tom and I saw a bunch of them last month when we spent a long weekend there. If you want to see exactly where it is, click here for a map. 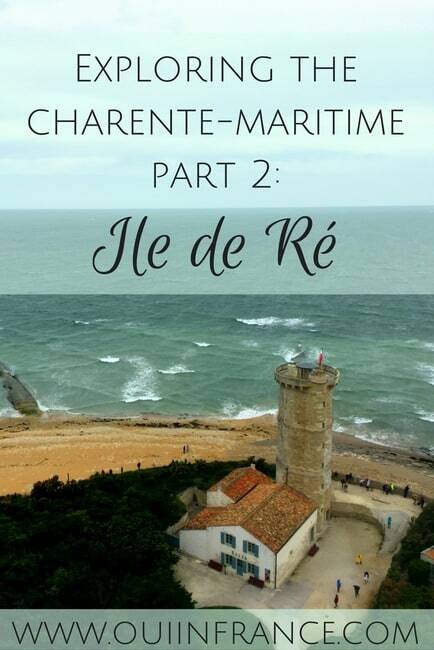 Also, be sure to read Part 1 on La Rochelle and Part 2 on the Ile de Ré. 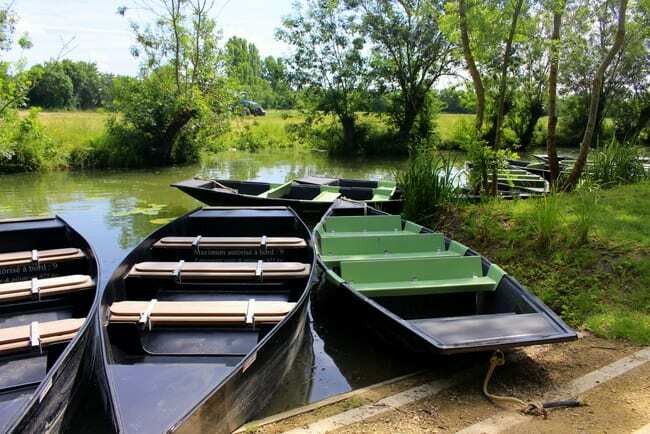 Hidden just a short drive from La Rochelle is the Marais Poitevin, or the Poitevin Marsh, a 970-square-kilometer area of marshland that’s situated on a limestone plateau that will introduce you to shades of green that you didn’t even know were possible. In fact, it’s called “Green Venice” because the water’s surface is covered in green duckweed. While we didn’t see much in the way of duckweed since it’s more prevalent in the summer, we did see several species of birds and ducks that call the sleepy canals home. The Marais Poitevin is split into dry marshland in the west and wet marshland in the east. The wet marshland is pictured here and consists of a network of narrow canals that are a nature-loving tourist’s dream and almost feel like an enchanted forest. 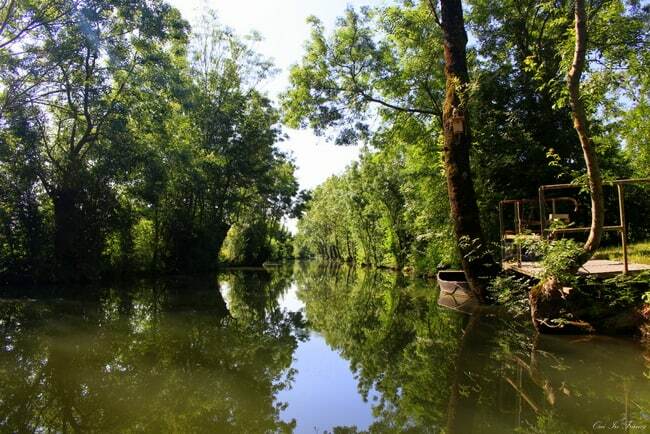 The Marais Poitevin was even named a “European Destination of Excellence” in 2010! Calm, untouched by technology, and bustling with wildlife, the Marais Poitevin is a landscape you’re not soon to forget and one that’s best seen from the water. For the full experience, we did a guided tour en barque and traversed the still water with ease on our very own flat-bottomed rowboat. Note: The bug situation at the end of May was not bad. I’m easily bothered by bugs, but luckily we escaped unscathed for the most part with just a bug bite or two. Bring bug spray to be on the safe side! Right across from the museum is the fortified Saint Martin of Esnandes Church. 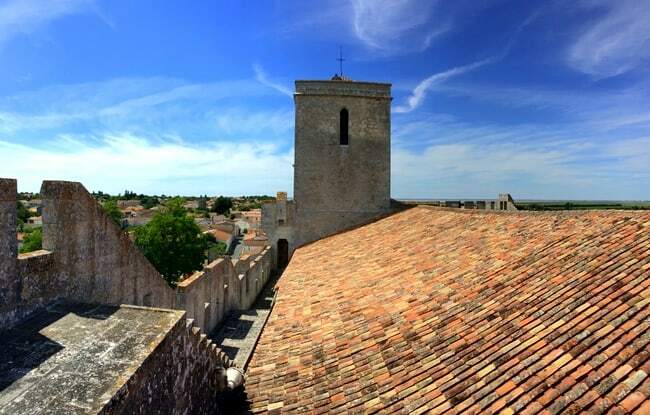 Constructed in the 12 century and fortified in the 14th, the church was made a Monument Historique in 1840. In the middle of the Hundred Years’ War, facing the threat of the English Army landing on the coast of Esnandes and then seizing La Rochelle, the locals took action. To defend their territory, they fortified the existing church structure instead of building something new which kept costs down. One of my favorite parts of our afternoon was when we drove to the coast right on the Baie de l’Aiguillon and saw the fishing pontoons — called carrelets in French — that stretch out into the bay. In this area, the water is half salty ocean water and half fresh water from the Marais Poitevin making it great for a diverse catch! 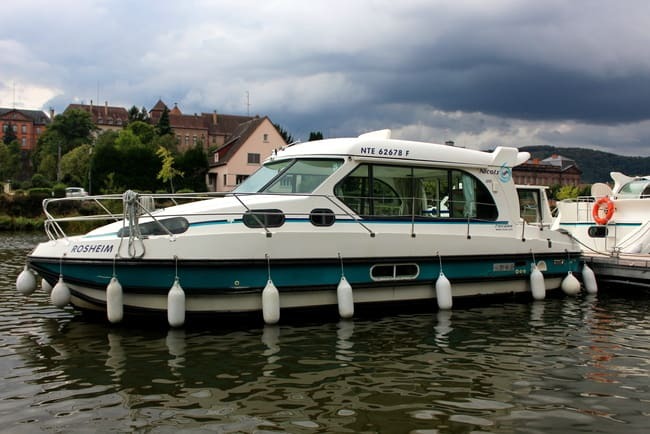 If you enjoy fishing, why not rent one? It’s 50 euros for a 6-hour rental, 3 hours before and after high tide. The concept is simple: You lower the large square net at the end of the pier into the water, then wait 5 minutes or as long as you’d like. When you’re confident you have something in your net, reel it up and hope that luck is on your side. 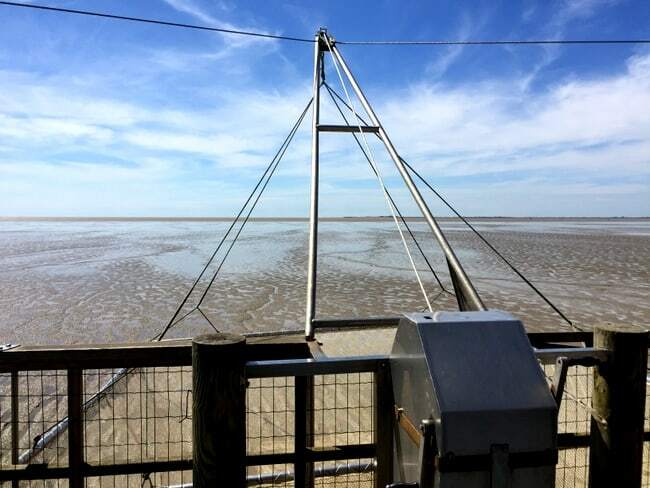 You can trap a nice catch for dinner including sole, mullet, eel, and more. Tasty! The sky was spectacular and I couldn’t stop snapping photos! 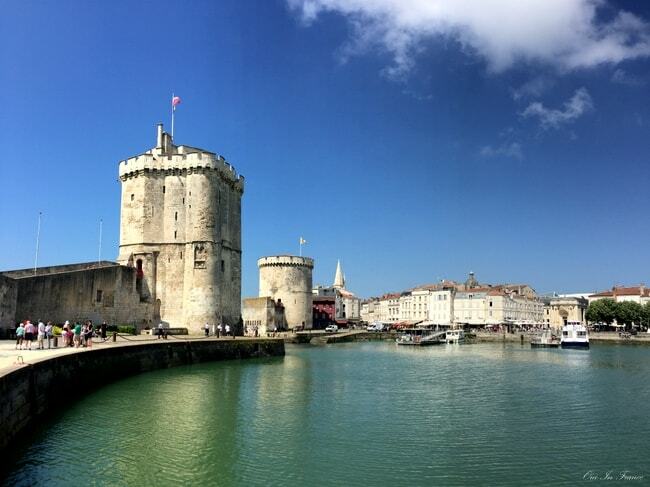 On our final day in the Charente-Maritime, we headed south to the town of Rochefort. Home to La Corderie Royale (Royal Rope Factory) where you can learn all about maritime knots, Rochefort was Louis XIV’s maritime arsenal. 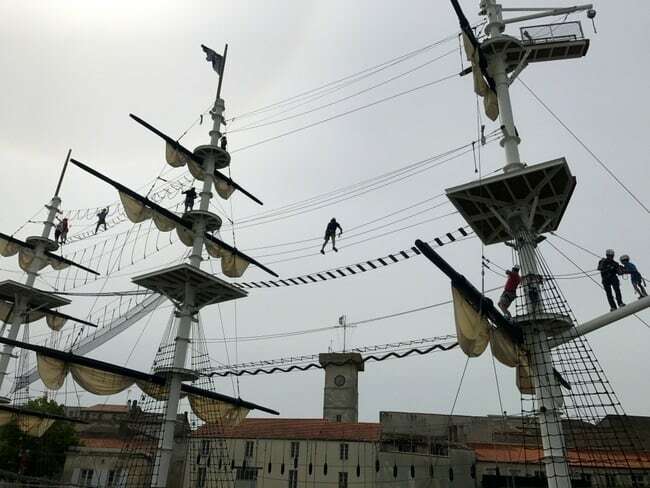 La Corderie Royale, pictured below, is 350 meters long and was once used to make all the ropes and rigs for the king’s ships. Now you can visit part of the building which has been transformed into a museum. The highlight of Rochefort for us was learning about the Hermione and the Accro-Mats adventure after. Although I’m not a history buff, the exhibits were extremely well done and I found the ships’s story fascinating. To give you some background, the Hermione is the largest historical sailing ship ever reconstructed in France. The reconstruction site is visited by 250,000 people every year and each stage of restoration takes place in full view of the public. The original frigate set sail for the USA in 1780 and aided the troops of General Washington with Major General La Fayette at the helm. The voyage resulted in an American-French victory at Yorktown in 1781. 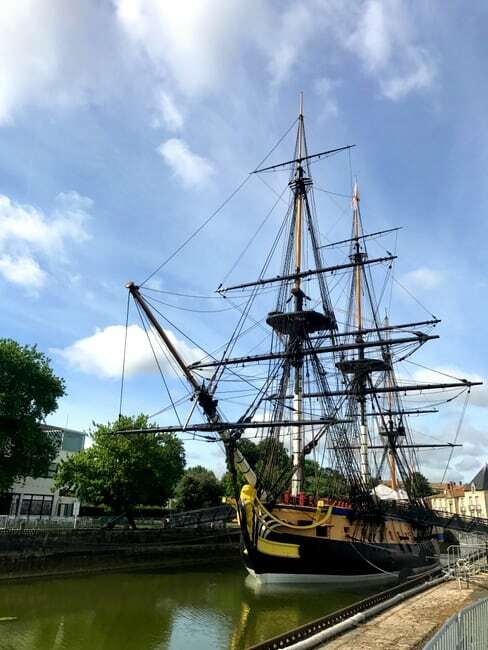 To fully appreciate the Hermione and to learn how the boat functions at sea, I highly recommend a guided tour. We walked all around the boat and got to see how the crew worked and lived while learning from one of the crew members who made the historical voyage to the USA in 2015. Did anyone see the Hermione in the US? The artisanal craftsmanship is quite a sight, and as you tour the boat, you’ll see the ropes being oiled and all the work that goes into keeping the ship in impeccable condition. Keep in mind that guided visits in English are only available to groups who book in advance. Even if you speak a decent level of French, some of the nautical vocabulary might have you reaching for your translator app. Total aside: How do you say Hermione in English? Anybody know who maybe caught a tour in the US? I’ve only heard it pronounced in French, which sounds sort of like air-mee-uhn. Comment below! After touring the Hermione, Tom suited up in a harness and helmet and took on the challenge of the Accro-Mats. The adventure park takes brave participants (of all ages!) up and across a series of ladders and ropes that simulate what it would be like to work on the sails and masts of the impressive Hermione. Tom scaled every challenge with ease and my heart pounded while watching him from down below. You’re strapped in at all times so there’s no real danger, but wow, 30 meters in the air on a tiny plank is no joke. You can choose from an easy course or something higher up and more challenging. Would you try it? Hope you enjoyed my little recap! 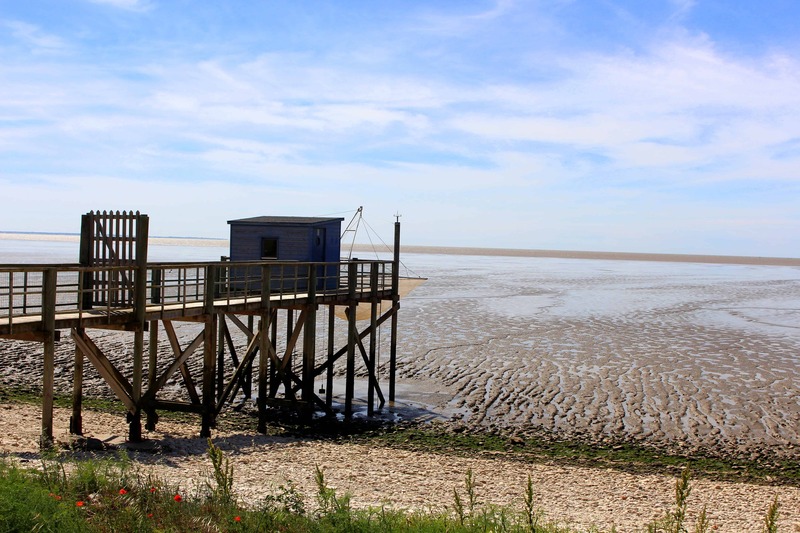 Have you visited this part of the Charente-Maritime? Be sure to watch this video I put together of our visit! 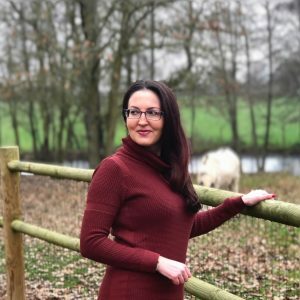 You can subscribe to my YouTube channel here! I love the photos of the boats! It sounds like an adventure. I only know “Hermione” from Harry Potter, but if it’s pronounced the same, in English it’s “Her-my-oh-nee.” I’m sure I would be at a loss for a lot of nautical words in English and in French! I appreciate that you put in a little note about the bug level – no one ever does and it’s something I always wonder about, particularly when it comes to more tropical destinations. It really was an adventure and if you forgot for a second it was 2017, you’d think you were back in time! France was made for tourism! Love the coastal areas. Keep up the good work…. Yup, it really was! Even after 5+ years here, things still amaze me! Nice! Such diversity in this area and a lot to experience. I’d want to learn more about the mussel harvesting and try my hand at the fishing. Walking the tiny plank looks exhilarating, but I might take a pass on that experience. Thanks for all the first hand info! You’re very welcome. Hope you are able to visit soon! What a fascinating trip Diane. Yes I’ve been to the Marais Poitevin (Coulon, which was delightful) but none of the places you visited. I wouldn’t mind a go on that rigging! I’m out at the end of the month, are you around in August, if so maybe we could meet up? Hermione like Catherine says, but thanks for the French pronounciation. I’ve heard that Coulon is really beautiful — lots of duckweed, but a longer drive for us. Yes, I’ll be here all summer, no plans beyond a day trip here or there so I can definitely head west and meet you somewhere! Keep me posted! We were in Yorktown on June 5, 2015, when l’Hermione arrived in the United States. 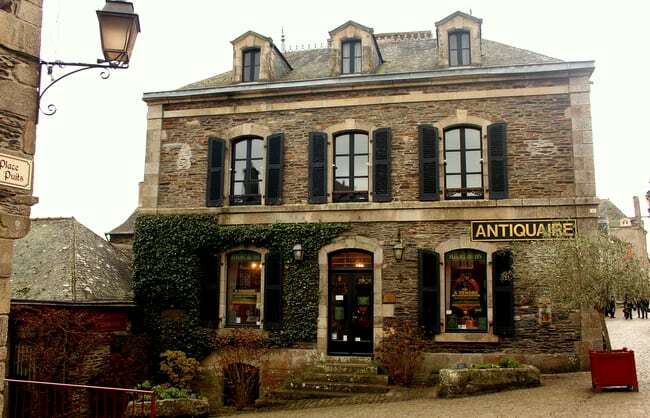 Now we hope to visit her once again in Rochefort in September! Excellent! 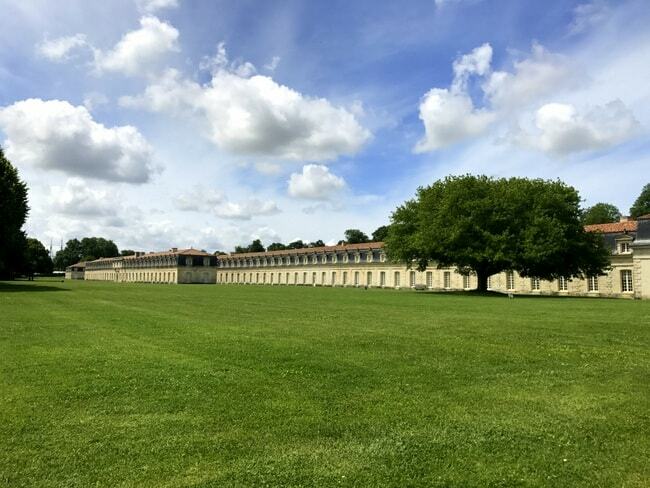 Did they offer tours of the actual ship in Yorktown or will it be your first in Rochefort? That will be a great trip! Where else will you be visiting? This has such a fascinating view! I could imagine you having loads of fun and awesome experience. I would love to try and take a challenge on the Accro-Mats by the way! Thanks for sharing this. Will be watching the video now. Mesmerizing! 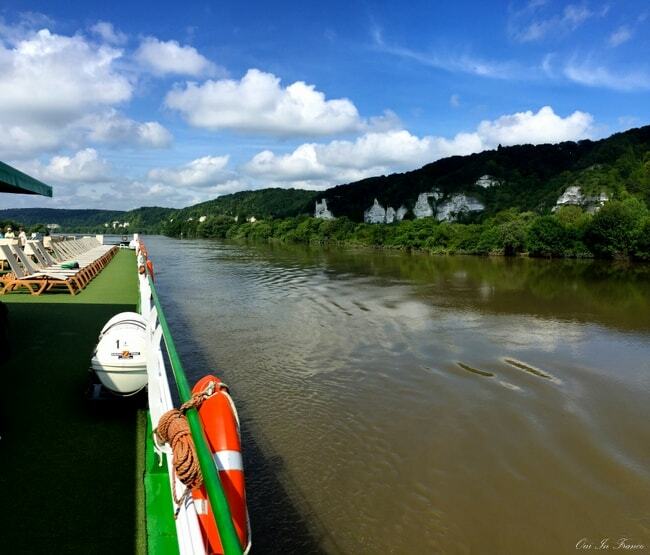 The waters, boats, sailing ship, canons…utterly fascinating to me! What about the food there? Perfect for a go. Thanks for the video, that explains things much better. Hi Steve, thanks for you comment! The food is delicious pretty much everywhere in the region, with a focus on fresh, seasonal produce and fish, usually right from the local area. 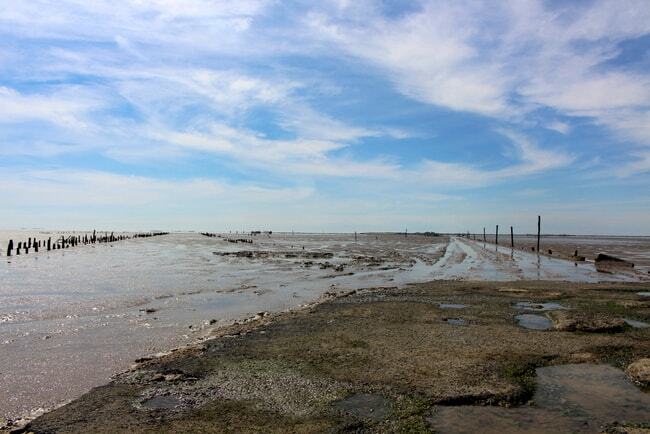 I wrote a little bit on food in Part: 1 of my Charente-Maritime coverage. Hope you get to visit one day!